We look forward to being able to help make your visit to this region a truly memorable experience. Enjoy all the attractions on offer, including the soft sand of beautiful Palm Beach and the pristine, sheltered waters of nearby Shoalwater Marine Park and Penguin Island. Whether you wish to stroll to the award winning beach, go windsurfing, sailing, or dine in beachside restaurants, you are only a short distance to any of these activities. 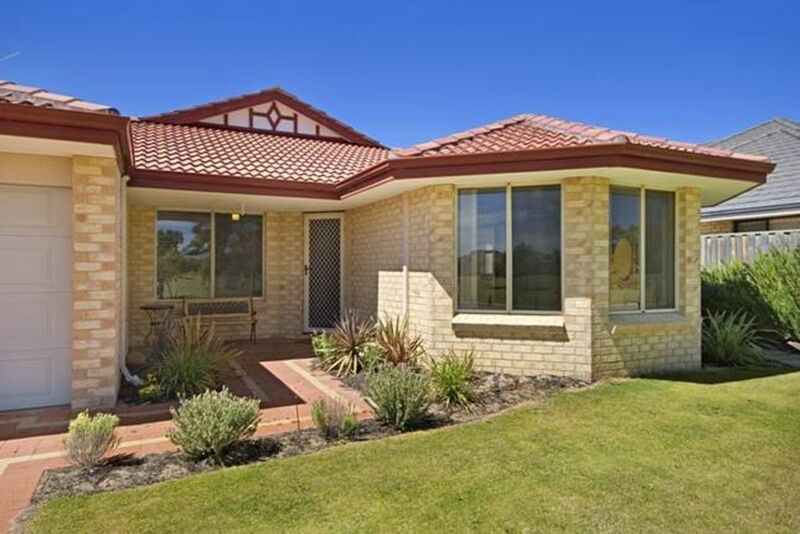 Palm Beach Holiday House provides plenty of room for the whole family, plus a few more! This spacious family beach house is a neat, clean, comfortable and affordable way to enjoy this magnificent area. Free Wi Fi connection is now available at the house for your added convenience. Fully self contained, just bring the bare essentials. And if you are with us for a while, forget the Laundromat, a fully equipped laundry saves you time and money too. Owned and serviced by a local family, we will make sure that you have all that you need to enjoy your holiday in this renowned Aquatic playground. Large family sized house boasts four double sized bedrooms, two bathrooms, two large lounge areas, formal dining area, games room. The double garage offers secure parking while the front gate provides easy access for your boat. The house would be perfect for scrapbooking and craft weekends or just to escape from the hectic pace of life for a while. What can you do around Palm Beach and Rockingham? Rockingham has one of the state's biggest shopping centres and hundreds of other shops to browse around. Aquatic activities are a way of life here. The Palm Beach area is renowned for snorkelling, fishing, crabbing, wind surfing, kite surfing, water skiing. At nearby Shoalwater Beach you can walk across the sandbar to the protected bird sanctuaries of Penguin Island. You can find a nearby sheltered beach for swimming, sun bathing or boating. Palm Beach, Waikiki, Safety Bay or Shoalwater Beach provides you with plenty of choices. This is a fantastic place to sunbathe and read that novel that you brought with you. This must be one of the best places ever for boating and boat fishing! There is an excellent double boat ramp on Safety Bay beach just east of the Safety Bay Yacht Club and another one just west of Palm Beach. There is nowhere else within 250km of Perth that has such a versatile, interesting and attractive coastline. Indian Ocean sunsets are simply stunning at Palm Beach and the morning view, with the sun in the east, is absolutely spectacular!!! From February 2016 the home will have access to the Internet. Rockingham's Churchill Park (off Old Rockingham Beach) is a large grassed reserve adjacent to the old Rockingham beachfront area and this is an ideal place for a picnic. Throughout the Point Peron Reserve you will find a maze of trails that can be used for walking or bike riding. There are numerous restaurants and cafes in and around Rockingham - particularly near the old Rockingham Beachfront area. PALM BEACH has a lovely sheltered beach and a popular fishing jetty with views to Garden Island. This is the perfect quiet family swimming beach and a boating paradise. House is a very large property set up for children as well as adults. It is in a great area 5/6 minutes walk from the beach ad across from a park. It is convenient to a small grocery store but Rockingham Centre is only a shoestring drive or bus ride away. The house is very clean with all necessary appliances including a tumble dryer. There was a good supply of basic food stuffs there on arrival. One of the things that was very helpful was a bracket containing all information and brochures on local places of interest. A very good place for a relaxing beach holiday. Thank you for your wonderful review. We are so glad that you enjoyed your stay. Great size, great location, everything you needed for a family holiday. We are pleased to hear that you enjoyed your stay at our holiday home. We enjoyed a wonderfully relaxing weekend! The house is spacious and generally well maintained. It is situated in a great location, close to the beach and amenities. Will definitely be back! Thank you for your great review. It has been so good to have your ladies craft group spend time with us again. We look forward to your next visit with us! The house is good for small kids as it comes with plenty of toys to keep them occupied. House is large and air con works great. Downside tho is linen and towles were stained and the house could be cleaner. Plus the couch in the tv area is just terrible. Dirty and uncomfortable. The owner, Stephanie, has been very accommodating to our requests for early check-ins and very responsive in answering our queries even before we made our bookings. Instructions are clear and precise for first time visitors to the property. Property is clean and generally well maintained.